In our Behind the Scenes series, we highlight the video producers who bring Toronto Fashion Week to life. 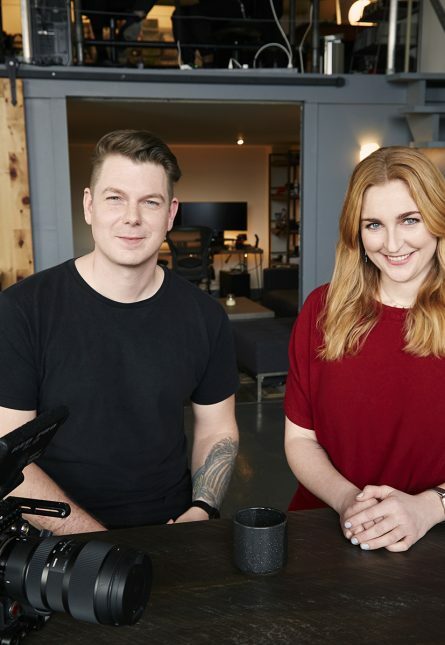 As the creative duo behind video production team Istoica, Christopher Altorf and Jessica Hayes are responsible for documenting the excitement of Fashion Week—from the runways to the front row—in real time. We caught up with them to talk fashion emergencies, how technology is changing the fashion game, and why Toronto Fashion Week is so special. Where did Istoica get its name? What do you do during Toronto Fashion Week? Have you ever experienced any Fashion Week emergencies? Why is Toronto Fashion Week so exciting?